Don't miss the latest happenings out of Panorama Mountain, including new lifts, terrain expansions, weather, photo galleries, infographics and current events skiers and mountain travelers should know about. Stay up-to-date on Panorama Mountain news and events by clicking on articles from the list below or page through to see coverage from the entire ski season. Which Ski Resorts Have the Most Vertical? Which ski resorts in North America have the biggest verticals? Test your knowledge with this infographic. With an exchange rate favoring U.S. skiers, it might be time to visit the Canadian Rockies. Check out our rundown of new chairlifts and gondolas for skiing in the West. Ride-share websites now offer ways to reduce your carbon footprint while getting to inland B.C. and Alberta ski resorts. Kicking Horse, Panorama and Whitewater begin seven-day-a-week operations while Kimberley runs a second preview weekend. Nine more British Columbia resorts open for skiing and snowboarding for the season. The Calgary SnowFest moves to Canada Olympic Park and adds new family-friendly activities. Can You Be This Year's British Columbia Powder Highway Ski Bum? One lucky skier or snowboarder can be this year's Powder Highway Ultimate Ski Bum and win a three-month travel vacation at B.C. ski resorts. 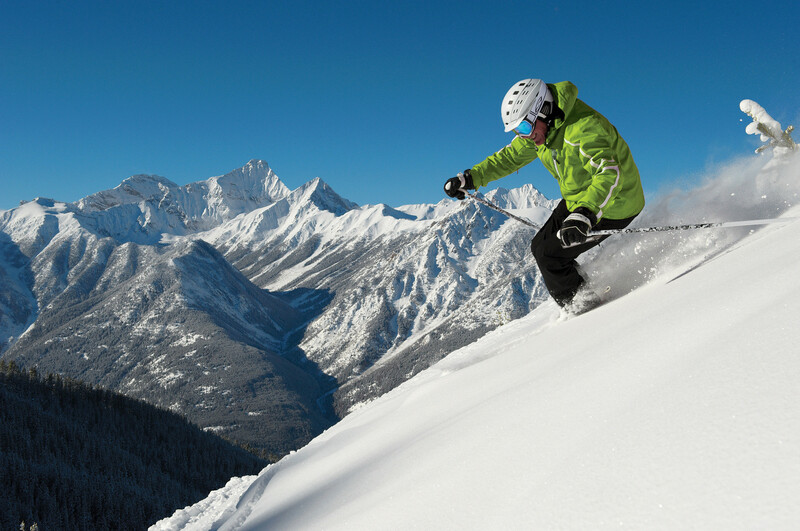 Calgary skiers and riders can choose a multi-resort season pass to access a variety of mountains in the Canadian Rockies. Four more North American ski resorts have added Satski interactive GPS trail maps. Interior British Columbia resorts wind up winter lift operations in April, but several open for summer mountain biking, lift rides, hiking, or golf. Panorama Mountain Village offers a budget ski and stay package that costs the same as one adult lift ticket. The First Tracks Hostel opened this winter at Panorama Mountain Village. Panorama Mountain Village is discounting lift tickets in its Costco Family Pack and offering discounted child care in January. Get Snow Reports, Powder Alerts & Powder Forecasts from Panorama Mountain straight to your inbox!